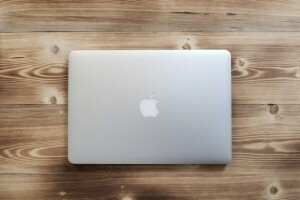 A computer’s operating system (OS) — the software that supports the computer’s basic functions — has a variety of responsibilities, including managing memory, external devices, and applications. Computers generally come pre-loaded with an OS, so you don’t need to worry about purchasing one separately, though it is possible to upgrade or change systems. Knowing what OS your computer runs system can be especially beneficial when installing new software and for keeping your computer updated and running efficiently. If you ever need to find out which operating system you have, simply start your computer and wait for the first image to appear. Most likely, the name of the operating system will be one of the first graphics on screen as the computer restarts. PC users who are still unsure can click the Start icon, typically found in the lower left corner of the screen. When the Start menu appears, click “Run,” and then type “winver” (short for “Windows Version”) into the search function. An “About Windows” section will appear, listing your specific OS. Apple users should click on the Apple icon, typically found in the top left corner of the screen. Select “About This Mac,” and a window will appear with the name of the operating system. Now that you know what type of OS you have, get to know it better. There are many different operating systems, but most of them fall into one of four major families, each with their own unique benefits and shortcomings. Windows is a Microsoft® operating system compatible with a vast number of different programs, computers, and devices. An industry standard, Windows dominates almost 90 percent of the desktop OS market share. Microsoft provides various versions of Windows, but its most recent versions include Windows 10, Windows 8, Windows Vista™, and Windows XP. Windows is by far the most popular operating system, so users will likely find it familiar. It’s compatible with most devices and software and has extensive support and freeware application options available. Many employers and gamers prefer Windows. Though Windows is compatible with almost any hardware, it has high licensing costs. Matching or transferring applications to other systems can also be expensive. Because it is the most widespread system, Windows is also the most susceptible to malware. Security is limited, so users probably need proprietary software to keep the computer safe. The OS X software family from Apple® is the second most popular on the market. OS X is known for being much more restrictive than Windows. The most recent OS X versions have been nicknamed El Capitan, Yosemite, Mavericks, and Mountain Lion. Since Apple keeps its systems tight, users experience fewer freezes and crashes. Security is stellar, with minimal risk of malware infection. Many find the user interface simple and intuitive, and Apple fans can easily synchronize their devices. OS X can only be used with Apple products. And though Apple has low maintenance and support costs, the initial computer purchase is relatively expensive. Because it is a closed system, options are limited and customizability is minimal. Extremely customizable and widely supported, Linux is a fantastic operating system for those who want total control over the user experience. Linux is known for its versatility. In fact, it’s compatible with most hardware and is entirely customizable. Linux offers a large library of free open-source software for those interested in additional options. Extremely secure, Linux is even less prone to malware than OS X. Best of all, Linux is completely free. Because Linux is so customizable, it can be confusing for inexperienced users. Though options are virtually limitless, it may take time to figure out how to manage them. Due to the relative obscurity of the system, users may find support limited for external applications. UNIX and Linux together control a large percentage of the server market. Like Linux, the UNIX operating system is known for its versatility, though it is best suited for programmers rather than the casual user. UNIX is available on almost all hardware platforms and is extremely customizable. Loaded with virtual memory, UNIX allows you to run various programs simultaneously without interference or system crashes. UNIX is secure, stable, and built to endure. UNIX is also completely free. UNIX can be extremely confusing for the computer novice. Because it is less widely known, it may be more difficult for UNIX users to find support. When it comes to choosing an operating system, consider your needs — are you using your computer mainly for gaming, designing, word processing, or something else? If you know what you want out of a system, you can easily determine which one is best for you. To make the most out of your operating system’s abilities, you’ll want the fastest Internet speed available. Find out more about CenturyLink High-Speed Internet and CenturyLink home service Internet bundles by calling 855-640-4510.